The human auditory system provides us with vast amounts of information about the world around us. Auditory information travels through the central nervous system. Your ears are in charge of collecting sounds, processing them, and sending sound signals to your brain. The whole brain is a crucial part of the auditory system. The auditory system has lower and higher levels of function. The auditory and vestibular systems are intimately connected. The receptors for both are even located in the same area of the skull, the temporal bone. These systems deal with gravity and vibration. The higher functions deal with the ability to process information that is heard. This includes auditory memory, auditory sequencing, auditory discrimination, auditory figure-ground and auditory perception. Central auditory processing is a physical response which includes the ability to perceive degraded auditory signals, competing auditory signals, figure-ground and discrimination in noise. Auditory integration is one facet of what audiologists call central auditory processing. The simplest definition of central auditory processing, or CAP, is University of Buffalo Professor of Audiology Jack Katz's, which is: "What we do with what we hear." Central auditory integration is actually the perception of sound, including the ability to attend to sound, to remember it, retaining it in both the long- and short-term memory, to be able to listen to sound selectively, and to localize it. Distortions in hearing or auditory processing can contribute to behavioral or learning disorders. Hearing can be disorganized, erratic, asymmetrical, hypersensitive, or otherwise abnormal. The vestibulocochlear system informs us of sound, movement and orientation of space. The cochlear portion of the system turns sound or vibration into electrochemical messages that are relayed throughout the central nervous system and is critical to auditory processing. The vestibular portion serves to provide stabilization, influences attention and arousal, posture, movement, thus being critical to sensorimotor integration. It is the integration of our senses that allows us to understand what we are experiencing in our world. So it makes sense that a program that would stimulate and help to integrate the cochlear and vestibular systems might be very helpful for anyone having sensory integration and learning difficulties. Auditory processing issues are one of the most common sensory processing problems and often include extreme hypersensitivity to sound, pitch discrimination issues, and sequential processing difficulties that impact receptive and expressive language, cognition, and social skills. Because the difficulties lie in the processing, in some cases a child may tune out and even act as if deaf, yet their hearing tests in a normal range. In adults, auditory problems may manifest as difficulty retaining auditory information, inattentiveness, and sound sensitivity, or speech/language and voice concerns. For individuals who have hearing loss, an auditory stimulation program is important to aid in improving the functional use of their hearing. So although actual hearing levels may remain the same (as indicated on an audiogram), sound stimulation therapies may help to train the individual's listening skills so that existing hearing may be used more efficiently. A person's ability to listen affects all language development for that person as well as every aspect of self-image and social development. 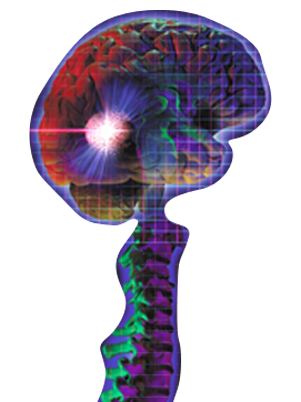 We, at Brain Breakthrough work with the whole person – the emotional as well as the physical - to enhance well being.